This is the first event of Truth And Peace Series in Green Templeton College. The goal of the initiative is to promote and strengthen the truthful dialogue in academia about challenges and conflicts around all the world. Each event features a talk, a presentation or a film and a few minutes of silence or music followed by an open discussion. 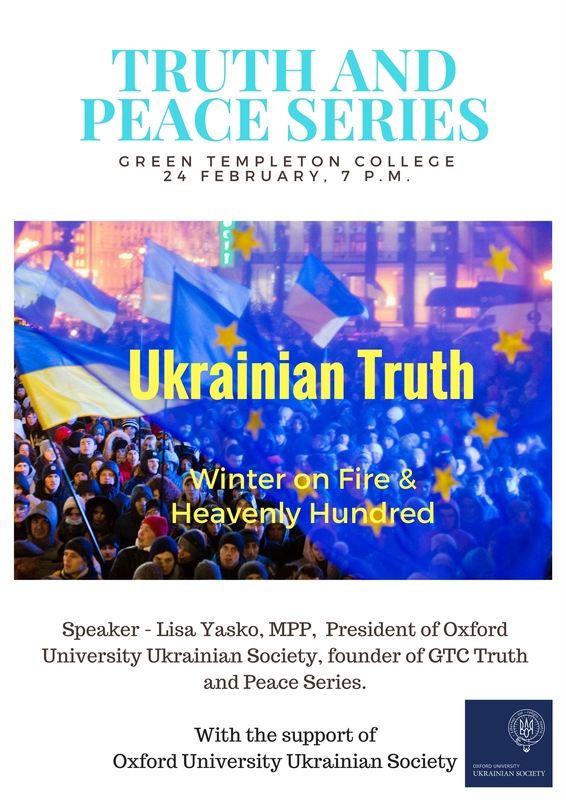 The first event will kick off with Ukrainian Truth and a personal story of a GTC student Lisa Yasko. 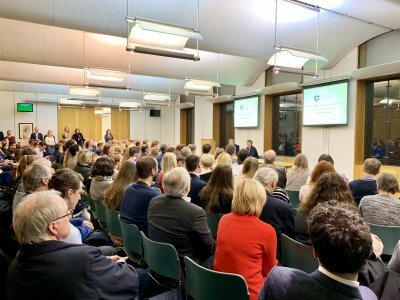 Lisa is the first Ukrainian studying Public Policy at the Blavatnik School of Government, a President of Oxford University Ukrainian Society and a founder of GTC Truth and Peace Series. In partnership with Truth And Peace Series at Green Templeton College.